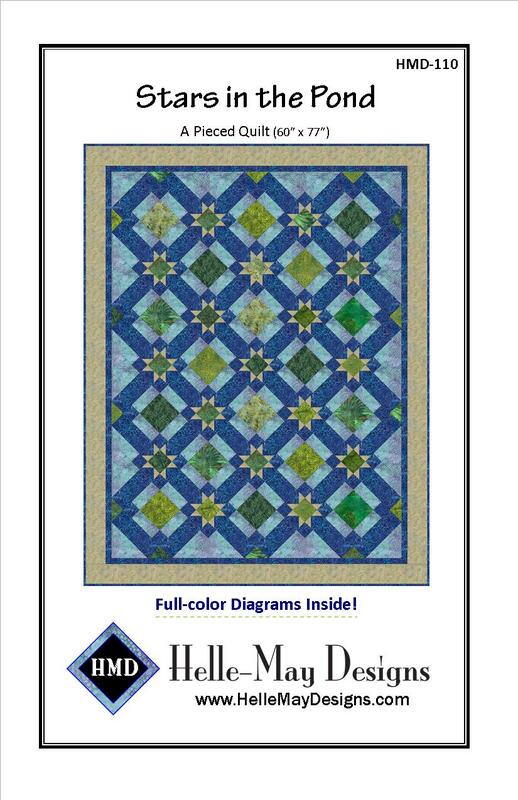 With Full Color Diagrams inside! 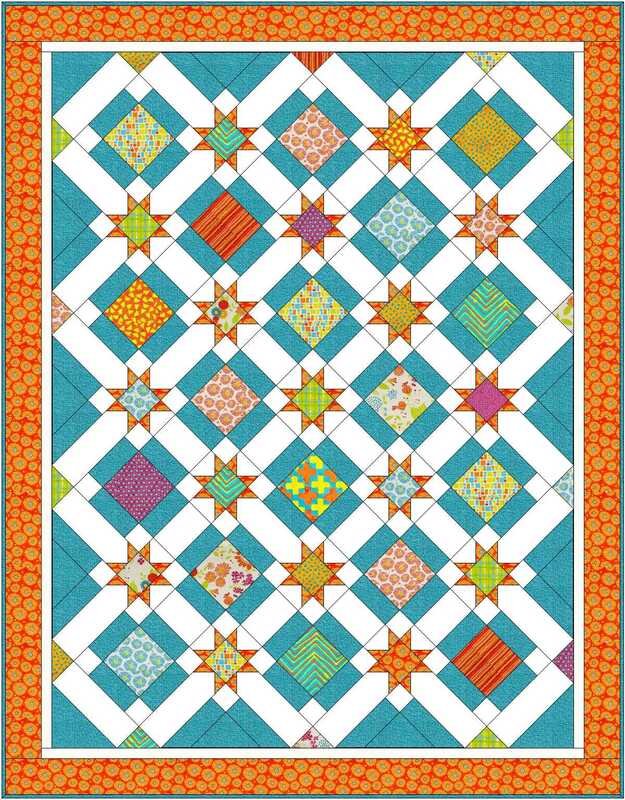 HMD-110 Stars in the Pond (60" x 77") is a pieced quilt that looks more complicated than it actually is to make! Bet you can't spot the block! Suitable for Advanced Beginners! 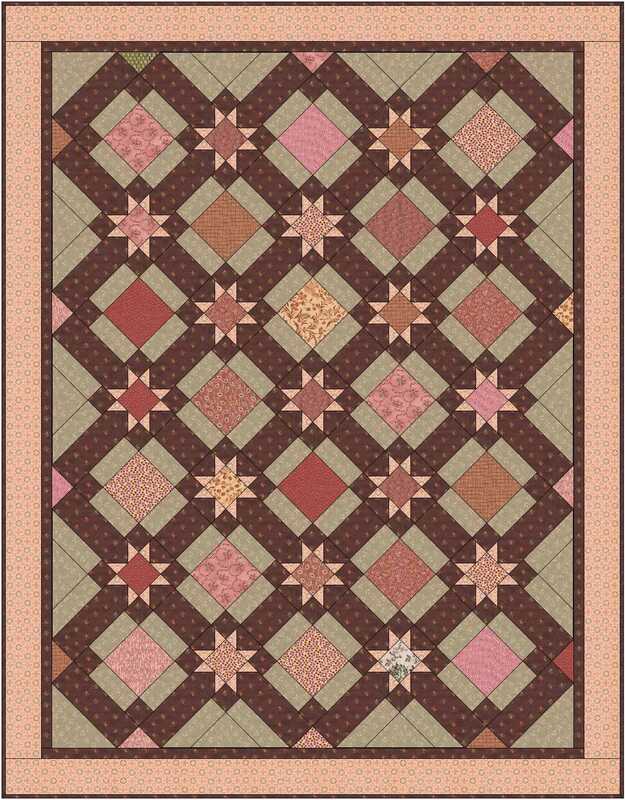 Feel free to feature any treasured collection of fabrics in this versatile pattern. I've put it together with blue and green batiks, but modern prints would give it a whole different spin! The possibilities are endless! Here are a few ideas to get you started! Make it bright with modern prints or more subdued with Civil War Repros!